Since our founding in 2017, our mission has been to promote alternative energy in Montana. The Bridger Solar Team is excited to build our first solar car at Montana State University in over 20 years. All members of this team are passionate about the innovation, inspiration, and education that comes with the use of solar energy. This program is a multidisciplinary project that incorporates students from numerous academic and technical backgrounds, including math, physics, engineering, and business. Our mission is to design and build a competitive solar car to race in the 2019 Formula Sun Grand Prix. Faculty and staff from all tiers of the university are providing mentorship to the Bridger Solar Team throughout the duration of the project. Building a solar car is a multi-faceted opportunity that engages our student body with tangible designing and building experience. It promotes the use of clean, renewable energy, networks students within the university, and fosters long-lasting partnerships within the community. The value this project will add to our graduating students is immeasurable, and it maintains Montana State University’s legacy as Montana’s flagship institution. "The Formula Sun Grand Prix (FSGP) is an annual track race that is held on grand prix or road style closed courses. This unique style of solar car racing is open to teams from around the world and truly tests the limits of the vehicles in handling curves, braking, and acceleration. On years when the American Solar Challenge (ASC) is held, FSGP serves as the qualifier race for this competition. Teams must successfully complete FSGP to prove their vehicles before they are allowed to start the cross-country ASC journey. The racing strategy applied during the three day FSGP track event is different than the cross-country ASC event. Driver training, passing strategy, and quick pit stops are crucial for teams racing in FSGP. 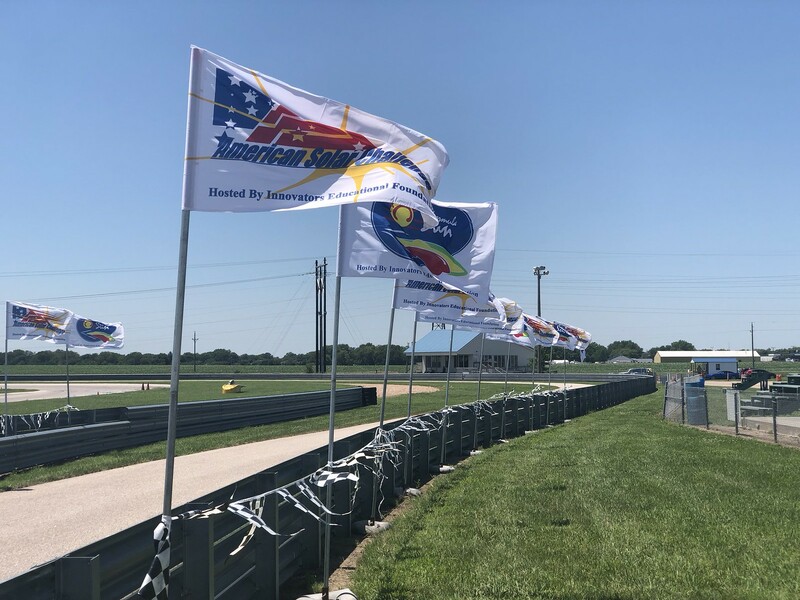 It’s also essential to have a diligent team member in the timing booth and follow all of the rules of the track to ensure all laps get counted." I am extremely passionate about the automotive industry and renewable energy. I wanted to combine the two by starting this team and help create an engineering masterpiece. This team is a great opportunity to work with other majors and improve teamwork. For as long as I can remember, green energy has fascinated me with its endless potential. However, until recently, I've not had the opportunity to make a difference in the alternative energy field. As a member on this project, I will be able to work with that which interests me most and on a fun, multidisciplinary team as well. Two of my favorite things are problem solving and watching ideas come to life. This team puts me in a role where I am able to oversee multiple aspects of what will be an engineering masterpiece. I am able to apply my education to a real life work place while impacting other engineers around me. With this team I am growing both as an engineer, and as a person. I hope people everywhere see what we are doing and also strive to implement innovative technology into a better future. I joined this team because I have a passion for engineering and design and I want to excel in my fields of study. This team is a fantastic opportunity to gain hands on experience with the future of power production. I want to see this team become a successful and competitive program for many years to come. I have always been interested in the inner workings of a business and I am passionate about renewable energy. 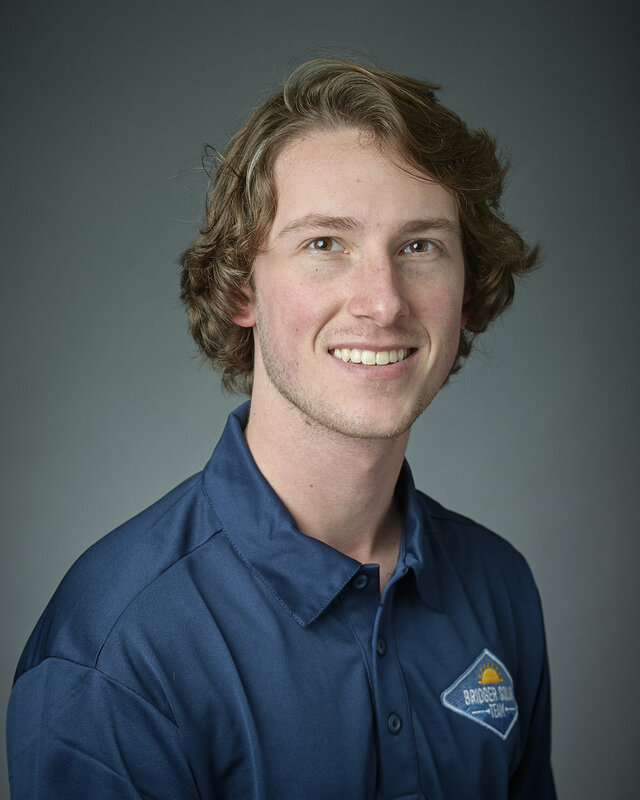 By joining the Bridger Solar Team I hoped to see renewable energy in action first hand and to gain real world experience in business and marketing that I will use for the rest of my life. After one semester my expectations have been far surpassed with a dedicated team, the amount of support from the community, and successful business mentors that have been willing to help and want see the Bridger Solar Team succeed. I joined the team because it sounded like a fun project to be a part of, and I've always been interested in incorporating alternative energy into transportation. I believe that solar energy will play a large role in the future of the automotive industry and transportation in general. This club gives me the opportunity to apply my education to something I am passionate about and be on the leading edge of innovative design. I joined the team because of a passion for renewable energies and the desire to be a part of something bigger than me. Being a part of Bridger Solar has allowed me to get to know a lot of like-minded people and be able to reach out and show off renewable energies. I joined because I wanted to see what the future entails first hand. I find it fascinating to be actively designing and integrating components that are more and more being used in the cars of tomorrow. Building a solar car is no small task. Car builds last over the course of two years and involve many students working and collaborating together. All majors are welcome as everyone has a different background and skill set that can be utilized in bringing this team to victory. If interested please try to attend any of our meetings below, or send us an email and we can discuss further. Serving Southwest Montana Since 1889. Kenyon Noble Lumber & Hardware is a local Montana business specializing building materials, hardware, concrete and trusses located in Bozeman with additional locations in Belgrade and Livingston, Montana. OnSite Energy strongly believes in the infinite resource of the sun and the reliability of solar electric systems for our daily energy needs. For over a decade they have been advocating solar electric technologies to Montanans through their own projects, community outreach, and legislative efforts. Their goal is to empower our local and regional community members to choose a future of clean, renewable solar energy for their homes and businesses that benefits our natural environment, our future generations, and our state’s economy. We are seeking industry partners and private donors to sponsor Bridger Solar Team. As a partner, you will be part of a significant project with high media attention, under a national spot light, showcasing innovation throughout the solar energy industry. We are passionate about building a competitive product and are incredibly excited to demonstrate Montana State University’s engineering capability on a national stage. We have generated a phenomenal amount of enthusiasm and a high level of commitment from students and faculty alike and are moving into the next phase of marketing and outreach. If you are looking to invest in the leaders, role models, and engineers of tomorrow, look no further. This is where change in the solar industry begins, but it cannot happen without your help. The budget required for projects of this scale is significant and no team accomplishes this feat without support and generosity from outside the University. We will gratefully accept materials, design mentorship, certification services, software licenses, and monetary donations. If you are unable to donate at this time, please spread the word to colleagues, family, and friends. Your consideration is greatly appreciated, and we are excited to hear from you. Disclaimer: We respect your privacy. We are the sole owners of the information collected on this site. We only have access to/collect information that you voluntarily give us via email or other direct contact from you. We will not sell or rent this information to anyone. Thank you for signing up to receive updates from us via email! Family Science Day was a success! We had a blast sharing our excitement about design and engineering with local 5th graders! We 3d printed small scale formula one cars for everyone to get kids excited about our project. One kid said we are making the future and we agree with him! Come visit us in the SUB Ballroom from 5-7 to ask questions and see the progress of our project. All set up here at MSU’s Involvement Fair! Swing by our booth or visit our website BridgerSolarTeam.com to find out how you can get involved. Starting Monday, January 14th, Bridger Solar Team will be Meeting in Norm Asbjornson Hall 337! Come on in at 6:00pm to be apart of Montana’s very own Solar Car Team. All Majors welcome!